1. J. Yatsu, M. Hayashi, M. Mukai, K. Arita, S. Shigenobu and S. Kobayashi (2008) Identification of maternal RNAs encoding transcription factors required for germline-specific gene expression in Drosophila embryos. Int. J. Dev. Biol., 52, 913-923. 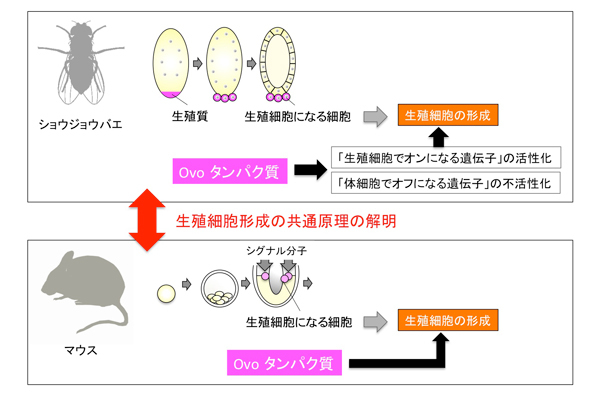 【題　名】 Conserved role of Ovo in germline development in mouse and Drosophila. 【掲載誌】 Scientific Reports 6, 40056; doi:10.1038/srep40056 (2017).